Celebrate more than a birthday, wedding or farewell. Celebrate all the moments, milestones and people that have filled a life. A personalised magazine is a great gift for any birthday, wedding, anniversary or other special event, like a colleague’s farewell. It’s also a great way to share your business message with the world or as a tool for health care. Who wouldn’t want to be on the cover of their own magazine? If anyone you know is celebrating a birthday soon, whether they’re turning 21, 40 or 80, a personalised magazine is a great way to show them how much you care about them. Fill a magazine with your own photos, texts and a custom design and create a unique gift they will never forget and enjoy for years to come. Magazines are already a part of every wedding. There are countless themes to choose from, so why not add one more magazine to the mix? The best one of all; the magazine with the bride and the groom on the cover. 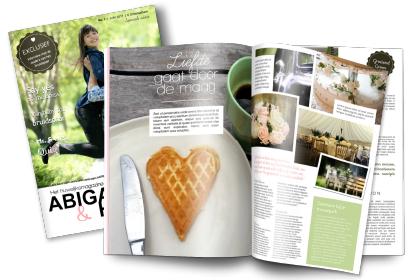 Invite friends and family to create a personalised magazine filled with photos, texts and a custom design. It’s a gift they can cherish for as long as they’ll be together. 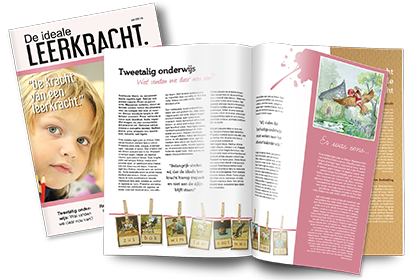 Enable students to create their own magazine for school projects. Students can invite each other and create their own pages with cool custom designs, their own images and text, and they can format it any way they want. The possibilities are endless. If you’re looking for a way to create your own business promotion you’ve come to the right place. Share your message with the world. 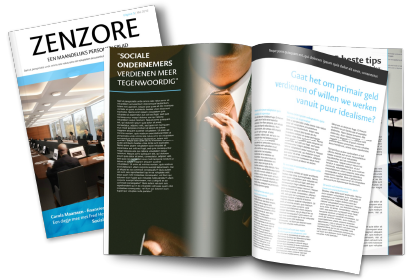 Create a magazine that showcases your company’s latest news, ideas, products and services.